It seems that Singapore is interested in the online Poker regulatory model which has been implemented in France. Earlier this month, government officials from Singapore met with ARJEL which is the French gambling regulator. Singapore government officials met with ARJEL, the French gambling regulator, to discuss how online poker has developed in France since 2010. The focus of the meeting was exploring how the online poker market in France has evolved and developed since it was regulated in the country in 2010. According to ARJEL, Singapore has an interest in the French regulatory model due to its ‘strict requirements’. Unfortunately, it is these strict requirements which have been the cause of the downfall of the online poker world in France. As a result, over 7% of the French population plays online poker with offshore online poker rooms. Jueline Ferey, a poker coach and pro in France, was recently interviewed by PokerNews. 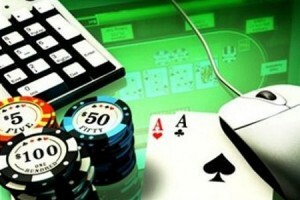 Ferey expressed that the online poker market in France is still young and that it has a lot of potential. Ferey, who is based in London, also stated that ARJEL will need to amend their regulations and poker laws since they have driven away recreational players in France. As a result, French poker sites are dominated by pro players from around the world which has made it difficult for French players to win. Ferey also expressed that the French poker industry should merge with other markets, such as in Spain and Italy, in order to merge liquidity.